British made discs, using German mill rolled precision stainless steel rotor blades with weight reducing contoured profile, mounted onto lightweight alloy centre hubs using the EBC patented SD square drive button technology. Square drive buttons resist loosening and prevent vibration common with low cost circular rivets or buttons. Rotor blades are precision ground for fast and perfect pad bed in. British made in German mill rolled precision stainless steel, laser cut, heat treated and tempered. 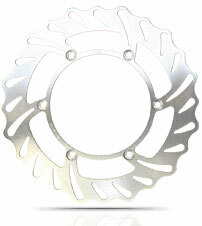 These discs are the perfect replacement for your motorcycle and have the benefit of a weight reducing contoured profile. These discs replace your original discs exactly and require no changes, simply install with new pads and you're all set. 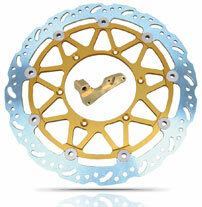 For disc pad choices see our wide selection for your own riding style. 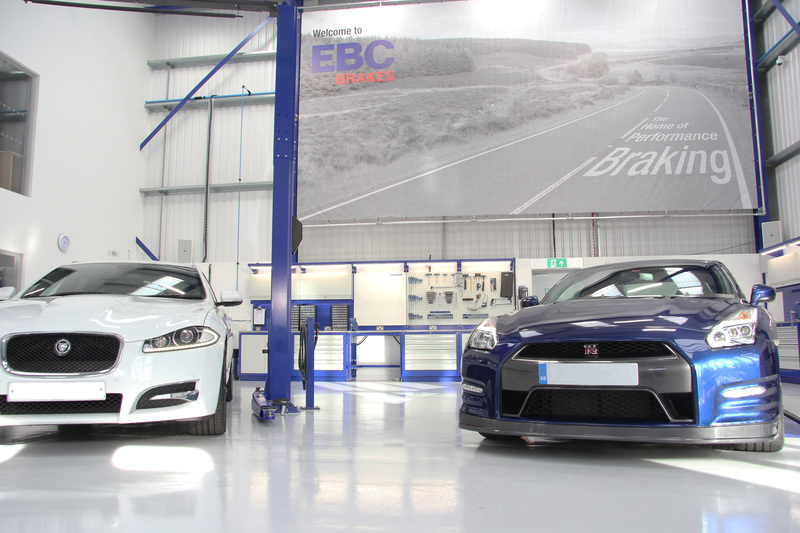 All EBC discs are 100% inspected for accuracy and runout. 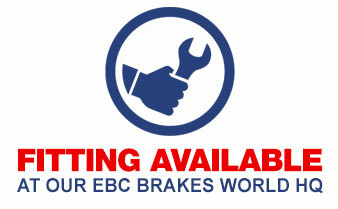 New pads must be installed, please choose from our wide selection of organic or sintered brake pads elsewhere on this site. 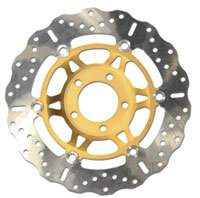 Upgrade your stopping power with the latest EBC Oversize Supermoto disc kits. Using your standard caliper, the bracket provided, reposition the caliper at a larger radius to enhance braking power and feel over standard disc size. Easy to install kit takes minutes to fit and gives a significant brake improvement.